Join us for a lovely evening of pampering, learning about the benefits of using organic and 100% natural skincare products with a chance to order products for yourself or your loved ones. 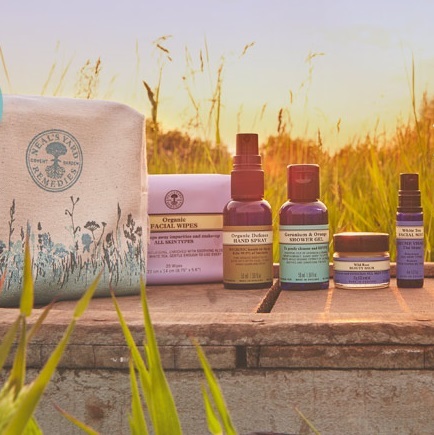 Neals Yard Remedies was founded in 1981 and are the UK’s first certified organic health and beauty company and the World’s first Carbon Neutral high street retailer. The mission is to encourage a more natural and holistic way of health, beauty and wellbeing. Ethically sourced and traded, using only natural and organic ingredients, which are free from harmful chemicals and never ever tested on animals, these products help you do good for the planet as well as feeling and looking good. Why not come along and pamper yourself or maybe even get some early (stress free) Christmas shopping done?